Posted on Thursday, April 16th, 2015 at 7:06 am. 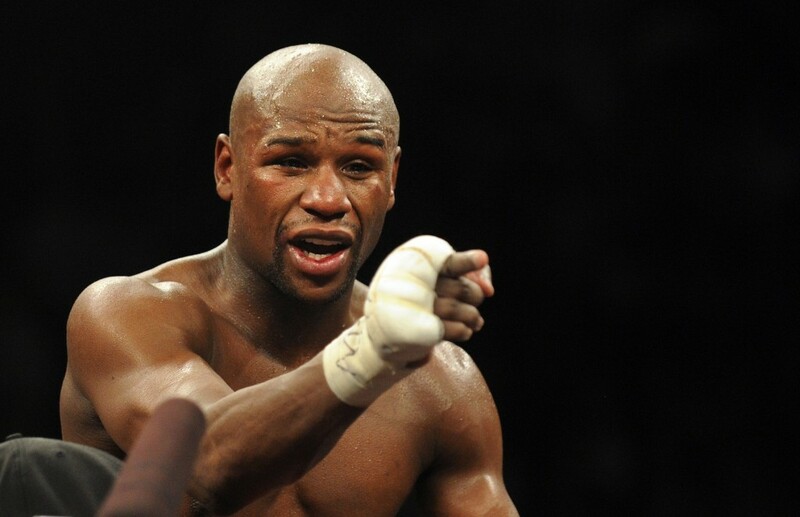 One thing Floyd Mayweather Jr is not known for is for being tactful in his comments to the press. Although the considered pound for pound king is not too keen to talking to a large array of the press, when he does, he relays some pretty bold statements. His latest is not a new one but the reason might be. In an interview with MailOnline he shared that he will fulfill the sixth and final fight on his record-breaking contract with Showtime. He assured that it will be his last fight because he has become disillusioned with the sport, that it is not as fun as it once was and that it has become into a business. In not a surprise, he added that his final fight will happen at the MGM Grand Hotel of Las Vegas, Nevada, the venue of his last ten fights dating back to May of 2007. The last time he fought out of the city of sin was two years prior when he stopped Sharmba Mitchell in Portland, Oregon. If Mayweather Jr keeps his word, and remember this is the same guy that retired for nearly two years after his win over Ricky Hatton in late 2007 only to come back in September of 2009 against Juan Manuel Marquez, and if he defeats Manny Pacquiao as well as winning his last fight, he would finish his career with a record of 49-0, tying heavyweight’s Rocky Marciano’s record. It would be hard to believe that Mayweather Jr will leave the sport tying Marciano for the record. Billing himself as The Best Ever and touting that he is the best fighter who has ever laced up a pair of gloves for the simple fact that he has not lost a fight yet, it would be no surprise that he would try to cement his legacy with getting that fiftieth win. The fact the fight will fall out of his Showtime deal could only mean one thing, right? He could demand more money for it than his guaranteed $30+million that he receives under his current agreement. Despite his next fight against Manny Pacquiao has all the writings of going down as not only as the most lucrative fight of all time but one of the richest sports events as well, it is rumored Showtime has not received everything the company expected from the deal cut with “Money” Mayweather. So much so that Les Monvees, the head honcho of parent company CBS, put out the edict that Showtime Sports president Stephen Espinoza needed to make this fight if he wanted to keep his job. The truth of the matter is that Mayweather Jr’s fights must at least hit a certain number of PPV buys for it to make any financial sense for the network. Needless to say, his fights against Robert Guerrero and twice against Marcos Maidana have not hit those numbers. The only one that has is against Saul “Canelo” Alvarez. So will his 6th and final fight under the agreement sell the minimum of amount? Will the money generated from the Pacquiao fight keep him in the good graces of Moonves? Business wise, that 50th fight might not make sense. Mayweather vs. Pacquiao . . . in 2015? MANNY WANTS IT, WHY NOT FLOYD?